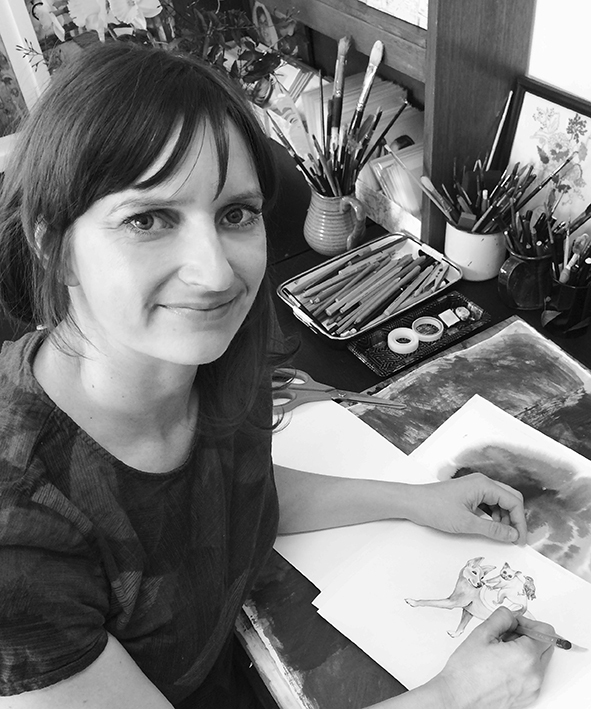 I am an Illustrator, Textile Designer and Artist based in the Blue Mountains, Australia, where I live with my family. I hold degrees in both Visual Art (Fine Art) and Textile Design. My paintings have been exhibited throughout Australia over the last 15 years and my Textile Designs have been included in fashion ranges both in Australian and overseas including the likes of Calvin Klein, Anthropologie, Tigerlily, Kookai, Milk and Thistle and Dragstar. My first children’s book with author Jodie McLeod ‘Leonard the Lyrebird’, was released on the 1st of September!